See the wonderful sites of Conroe, Texas or get to your business meetings on time with C&S Executive Transportation. A trustworthy and efficient transportation services company, C&S Executive transportation has more than 20 years of operational experience on its belt. It is declared as the number one vehicle service provider in Houston and its adjacent cities. Choose from its wide range of chauffeur driven vehicles from luxury sedans and minivans to executive coaches. Our company can accommodate 1 to 40 passengers and pledges to move you around the city in style. You are assured to get to your destination safely and always on time. 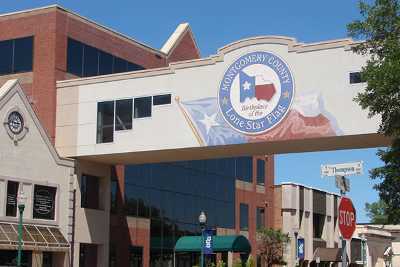 A member of the seat of Montgomery County, Conroe is located 40 miles north of Houston. It is still a part of the Houston-The Woodlands-Sugar Land metro area. Initially, Conroe was meant to house the employees of Exxon; however plans went south and this plan did not materialize. Now, Conroe is a simple place known for its parks and recreation sites as it is nearby Lake Conroe. The largest institution that has the most number of employees in this area is the Conroe Independent School District. Being a family-friendly place has opened a lot of doors for tourists to come and visit this small part of Texas. And with C&S Executive Transportation you are assured to have a safe and secure transportation service around Conroe. As a family-friendly environment, Conroe has several establishments that can welcome you with open arms and can offer you unique activities. Located along Callahan Avenue, this water park features a lot of giant water slides and activities that will surely excite and cool off children and adults during the peak heat of summer. Aside from the water park, families can have a picnic at the nearby playground area. Other facilities offered at Candy Cane are tennis courts, basketball courts, and a bike/walk trail. Learn about the history of Montgomery County by visiting the Heritage Museum. See the multiple exhibits displayed in the three galleries showcasing the history and information on Texas. This place is highly recommended for elementary aged children who are visiting Conroe with their parents. It is conveniently located within the Candy Cane Park so you can visit this museum before you head home. Play a round of 18-hole golf game with your friends at this slightly challenging golf course. This course offers a variety of challenging greens and paths that will surely improve the golfer’s techniques and skills. Here in Conroe, there are a couple of fun annual activities that can be participated by families from in and around the area. Celebrated every fall at the Heritage Place Park, this festival highlights a car show, street performers, local food and beverage concessionaires, kid zone, fireworks, and the much awaited catfish pageant. This year the Catfish Festival will be held on October 9 to 11 at Downtown Conroe, Texas. Open every Saturday from 9:00am to 1:00pm, this market features local produce, local artisanal products, metal works, and many more. The market is situated at the Jury Park at Downtown Conroe and is open to all visitors who want to try fresh fruits and vegetables, local Conroe cuisine, and drinks. Consistently receiving rave reviews for its pizza and pasta, this restaurant serves great Italian food for a reasonable price. Located at West Davis Street, locals frequently flock this place because of its homey ambience perfect for family bonding. If you want a Texan-size portion to your meals, then you better head down to Pappadeaux. This restaurant is known for its crawfish and shrimp appetizer, not to mention its stuffed crabs. Customers are willing to wait to be seated and served in this sought-after restaurant which is a good indication of its delicious food. Conroe, Texas is family-friendly town that has a hospitable and warm ambience. Families and entrepreneurs who visit this part of Texas always end up falling in love with its simplicity and rawness. The exact same service is offered by C&S Executive Transportation for those who wish to go around Conroe safely.